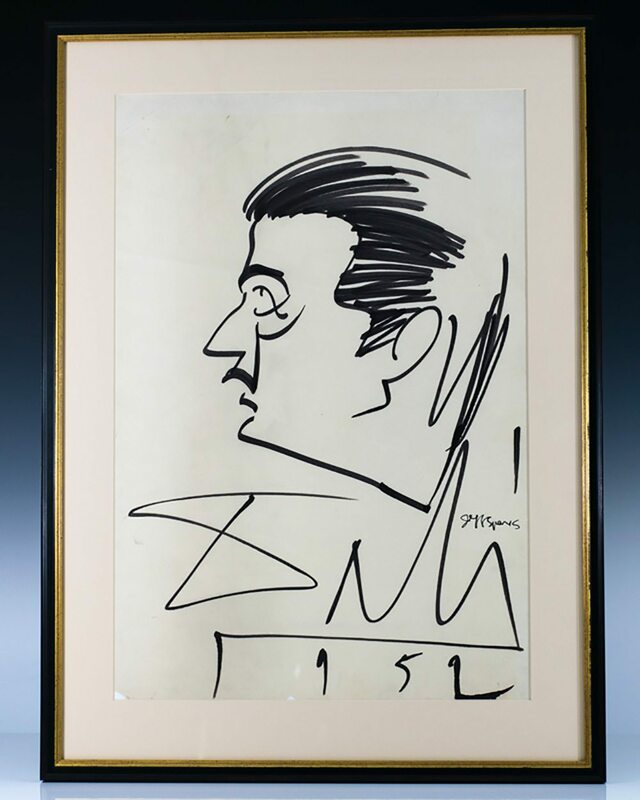 Large drawing drawn by the caricaturist Jeff Sparks, boldly signed by Salvador Dali, “Dali, 1952.” Also signed by Sparks. The drawing measures 14 inches by 21 inches. Matted and framed, entire piece measures 19 inches by 26.5 inches. In fine condition. Prominent Spanish surrealist painter, Salvador Dalí was a skilled draftsman, best known for the striking images in his surrealist work. His painterly skills are often attributed to the influence of Renaissance masters. His best-known work, The Persistence of Memory, was completed in August 1931. Dalí's expansive artistic repertoire included film, sculpture, and photography, in collaboration with a range of artists in a variety of media. Dalí attributed his "love of everything that is gilded and excessive, my passion for luxury and my love of oriental clothes" to an "Arab lineage", claiming that his ancestors were descended from the Moors. Dali, Salvador; Edited by Max Gerard. First edition of this lavishly illustrated work on Salvador Dali. Quarto, original illustrated boards, 271 illustrations, with 80 color plates and 23 in toned gravure. 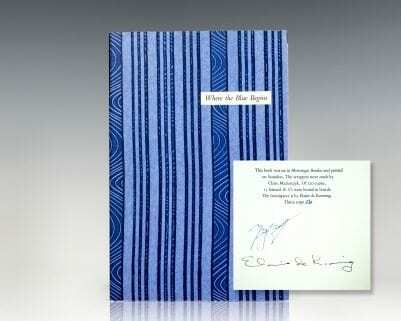 Presentation copy, inscribed by Salvador Dali opposite the title page in the year of publication, “Pour Maurice Bardin Hommage Dali 1968.” The recipient Maurice Bardin was a composer and friend of Dali’s. Arranged and edited by Max Gerard. Near fine in a near fine dust jacket. 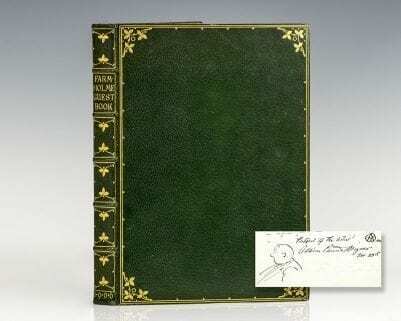 First edition of this lavishly illustrated work by Salvador Dali. Quarto, original illustrated boards, 271 illustrations, with 80 color plates and 23 in toned gravure. Boldly signed by Salvador Dali opposite the title page in red paint, “Dali, 1971.” Dali has added a crown to the flourish in the letter ‘D’. Arranged and edited by Max Gerard. Near fine in a very good dust jacket. 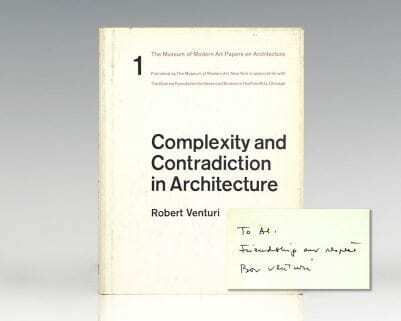 Housed in the original slipcase. First American edition of Dali’s illustrated work on “Dalinian Gastronomics” dedicated to Gala. Quarto, original pictorial boards, pictorial endpapers, with numerous photographs of Dali dining, illustrations and paintings by him, and 136 recipes, 55 illustrated with color photographs. Translated by Printed under the direction of Rene Toutain with the collaboration of Max Gerard. Near fine in a near fin dust jacket. An exceptional example.